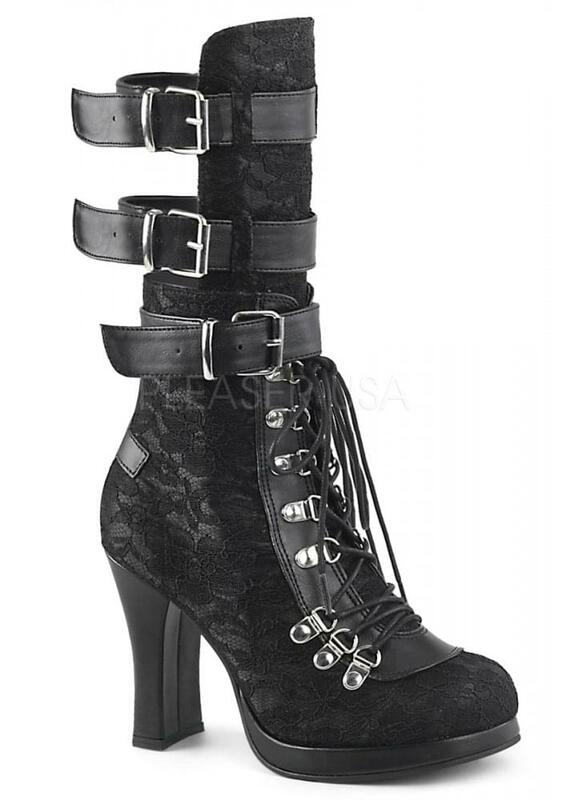 Demonia's Crypto 61 Gothic Lace Boot is a trad-goth style high heeled boot. The mid-calf high boot has a black lace overlay, lace up front and inside zipper. The vegan leather heels have an open back with triple buckle straps.